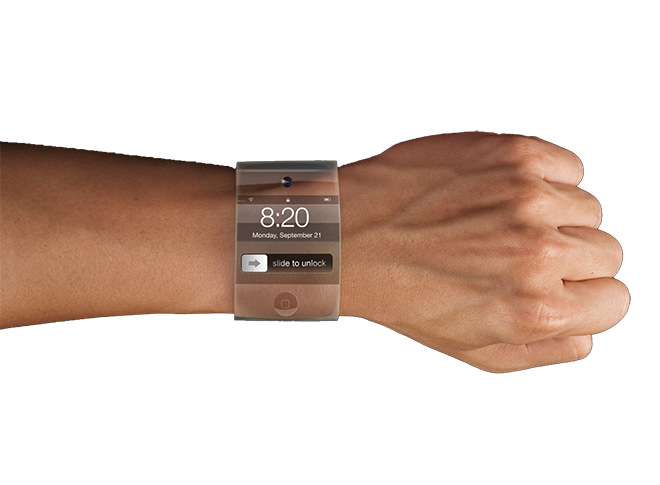 The latest rumors on Apple's so-called "iWatch" were highlighted on Monday by Macotakara. The publication spotted pair of reports from Taiwan's Economic Daily News which, like other publications that print unattributed rumors stemming from Apple's supply chain, has a hit-or-miss track record. In the first report, the publication claims that Apple is testing organic light emitting diode displays for its anticipated smart watch. The company allegedly tested 1.8-inch panels, but felt they were too big, prompting development to go smaller with 1.5-inch displays. According to the report, Apple is exploring 1.5-inch OLED touchscreens manufactured by RiTdisplay of Taiwan that use one-glass-solution touch sensors. This would allow the display component to be as thin as possible for the wearable accessory. It should be noted that rumors for years have claimed that Apple is interested in OLED displays, but to date the company has never used the display technology in any of its devices. OLED screens could, however, be an optimal choice for wearable technology because of their low power consumption levels. In a second report, the Daily News claims that Foxconn, Apple's longtime manufacturing partner, has already received orders for an "iWatch." However, the initial production run is said to be for no more than a thousand units, as Foxconn is allegedly running a "small-scale trial production." With "iWatch" rumors heating up, one survey from last month found that 19 percent of consumers are interested in buying such a device from Apple. That exceeds pre-announcement interest in both the iPad and Intel-based Mac hardware. Rumors of an Apple smart watch began growing earlier this year, when a number of reports claimed that the company is developing a wearable wrist accessory. One such report claimed that the company has a 100-person team working on the project.